In a richly illustrated presentation on the challenges of applying conservation science to Buddhist sacred thangkas and texts, Ann Shaftel will include a discussion of the relationship between thangkas and texts, and the evolving function of thangkas in Buddhist philosophy, textural history and culture. 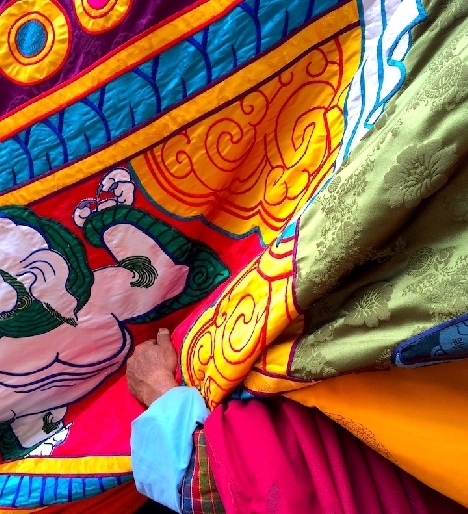 The images accompanying her talk will feature Silk Route thangkas, and others from her 48 years of work in monasteries and museums. Ann Shaftels work is at the forefront in the field of thangka conservation worldwide. She is a renowned teacher of international workshops on the conservation of Buddhist treasuresin the US, Canada, Europe, Bhutan, Nepal, India and China. She is a Fellow of the American Institute for Conservation, and a Fellow of the International Institute for Conservation. Anns international work in Treasure Caretaker Training www.treasurecaretaker.com won the prestigious Digital Empowerment Foundations Chairmans Choice award.